Looking for a high protein snack to have before training? 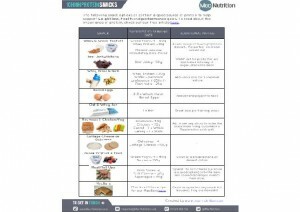 Want to add some high protein snacks into your weight loss eating to help keep you feeling full? Just need some ideas for healthier snack choices? This resource can help you! We've created a list of 10 high protein snacks that can help you make better daily choices when it comes to snacking.